This pure essential oils blend is designed to prevent focus problems and lack of concentration. 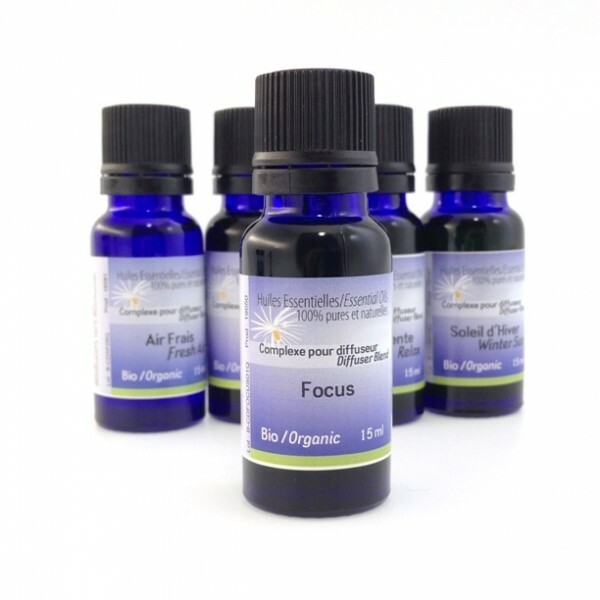 Focus contains oils that help balance the nervous system and stimulate the intellect. These oils are both grounding and relaxing. This blend can be diffused at home, in the car or at work, in a diffusing pendant or diffusing device. It can also simply be inhaled, or applied to the nape or under the feet. Invigorating and woody smell with a strong note of peppermint.